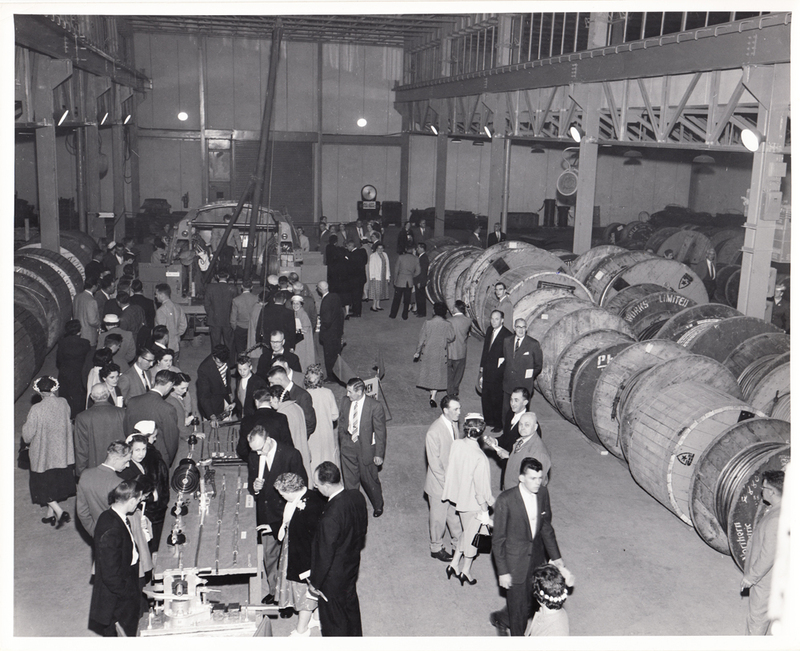 In the late 19th century, several important inventors and entrepreneurs propelled Ottawa's growth as the centre of a thriving timber trade by advancing electrical technologies. 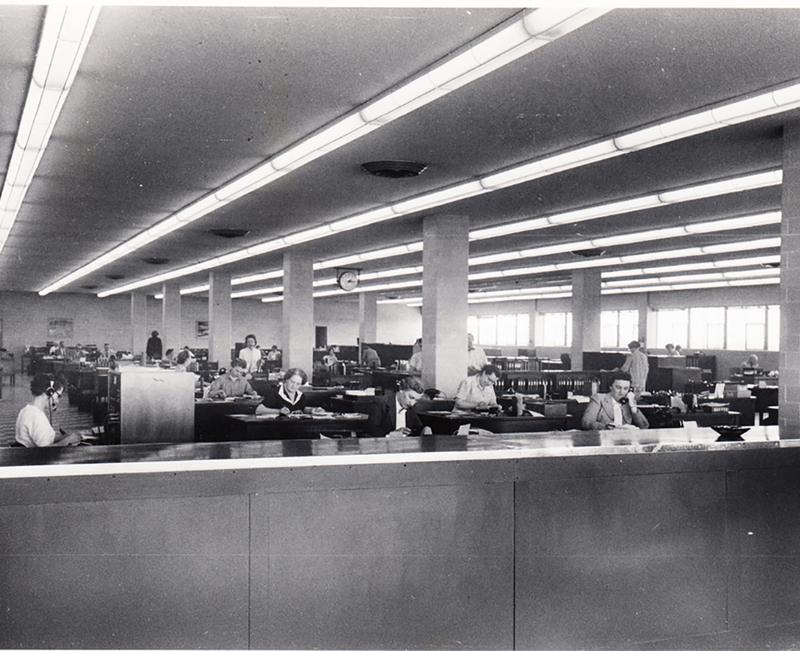 These technologies powered machines, automated processes and sped up production, enabling Ottawa to become home to one of the world’s largest milling operations at the time. 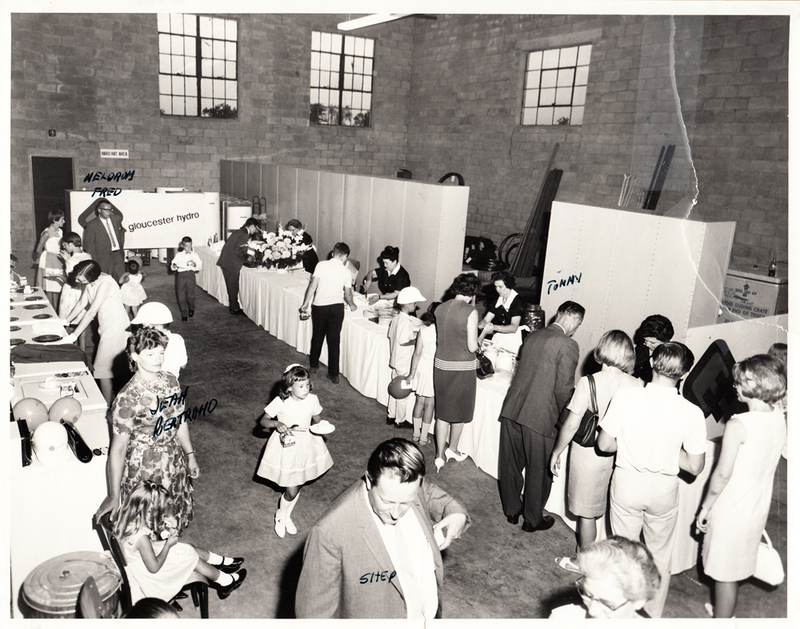 These inventors and entrepreneurs transformed our community as well, achieving several impressive firsts in the process. 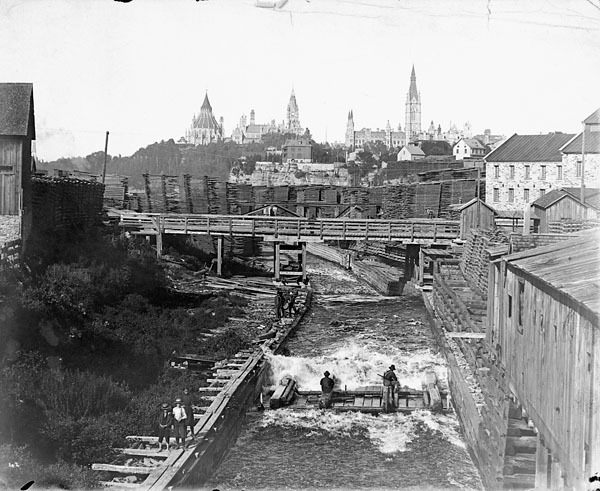 At Chaudière Falls on the Ottawa River, for example, Thomas Ahearn and Warren Y. Soper built Canada’s first water-powered electricity generating station in 1881. 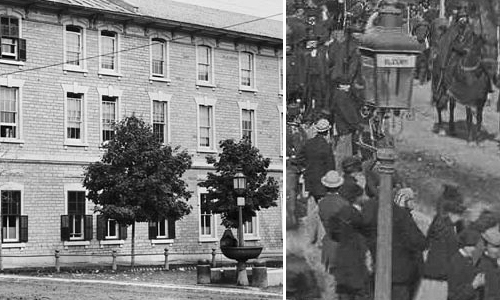 A year later, the Parliament Buildings in Ottawa were lit with electricity, a full year before the U.S. Capitol Buildings in Washington, D.C. And in 1885, Ottawa became the first city in the world to light all of its streets with electricity. 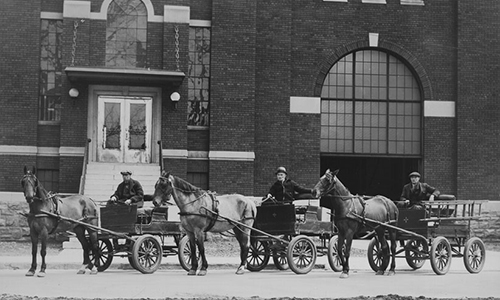 Local citizens Thomas Ahearn and Warren Y. Soper launch the Ottawa Electric Company. 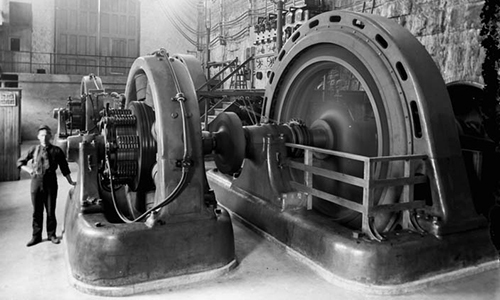 The two build Canada's first hydroelectric generating station at Chaudière Falls. 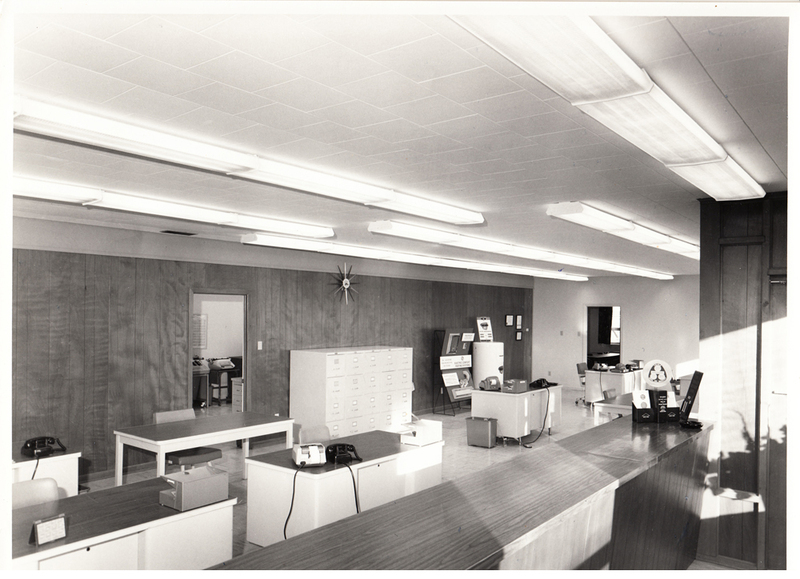 Thomas Ahearn, a native of Ottawa, held patents on eleven designs, including the electric heater and the electric oven. To demonstrate his inventions, he served an "electric banquet" in 1892 to Ottawa's elite at the Windsor Hotel — the first time an entire meal was cooked by electricity in Canada. 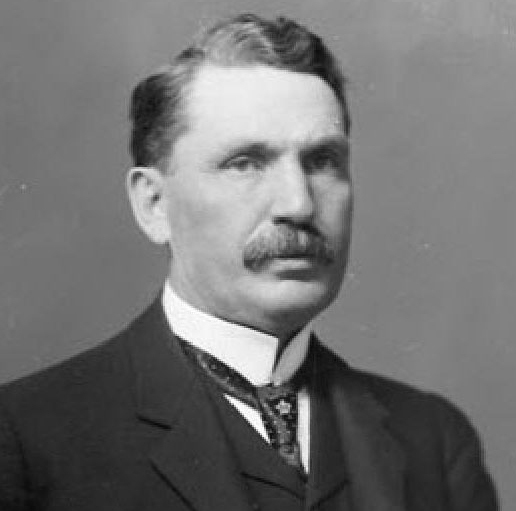 Then a year later, he founded the Ottawa Electric Railway Company, which eventually provided heated streetcar service from Britannia, Westboro, and the Glebe to Rockcliffe Park and Old Ottawa South. 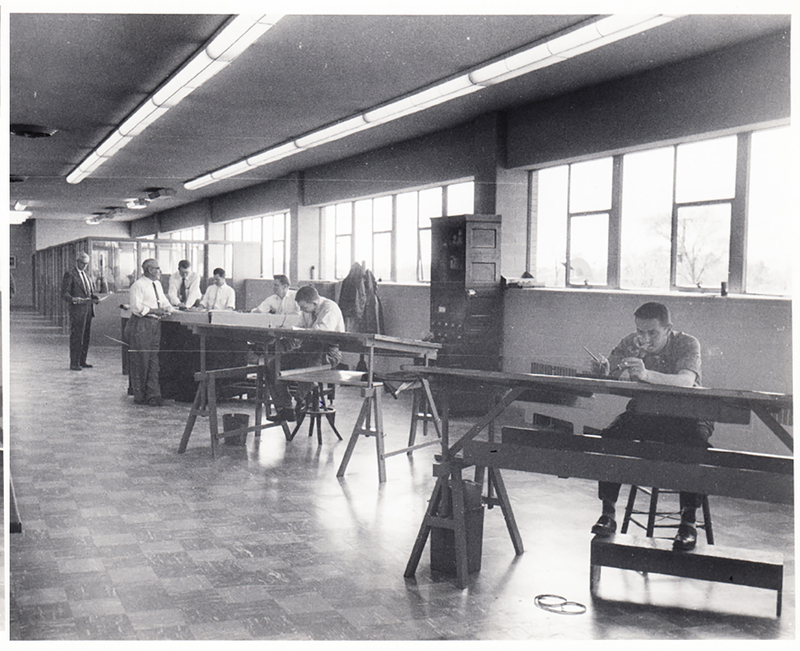 Ahearn also manufactured streetcars, heaters and small electrical appliances and control devices. 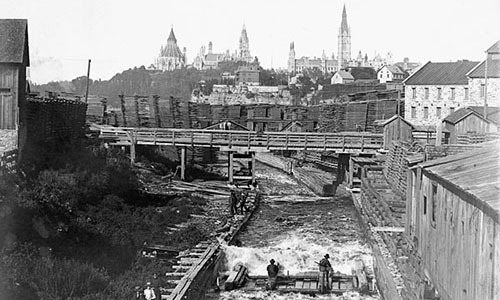 And with his friend and partner, William Y. Soper, he built three hydroelectric generating stations on the Ottawa River. To celebrate these and his many other contributions to Ottawa, a new monument to Thomas Ahearn was unveiled at Lansdowne Park in August 2014. Parliament Hill is electrified for the first time on January 17, 1884; a full year before the Capitol Buildings in Washington, D.C.
On May 1, 1885, Ottawa is the first city in the world to have all of its streetlights lit with electricity. 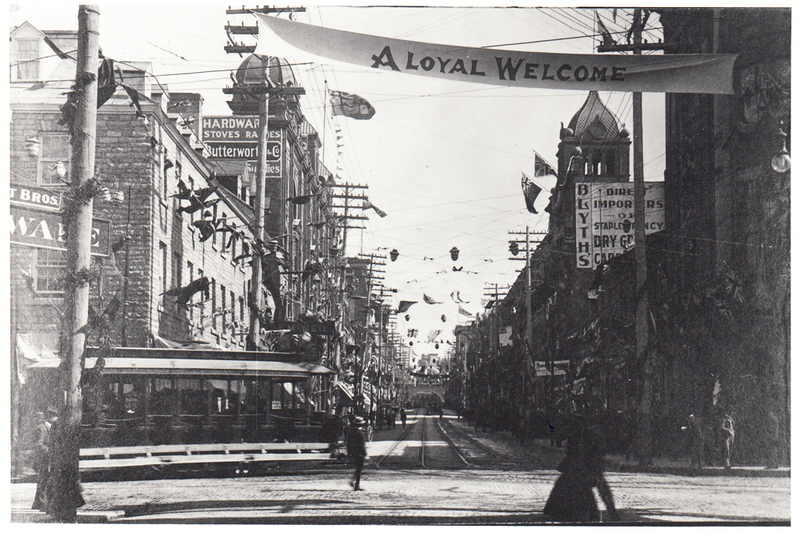 Lamp post at northeast corner of Sussex and George Streets, circa 1881-1910 and a lamp post in a photo of the funeral procession of Thomas D’Arcy McGee in 1886. In the mid-1850s, the streets of Ottawa had light. While electricity as we know it today had not yet been invented, pedestrians here still felt safe thanks to the City’s oil-fueled lampposts. 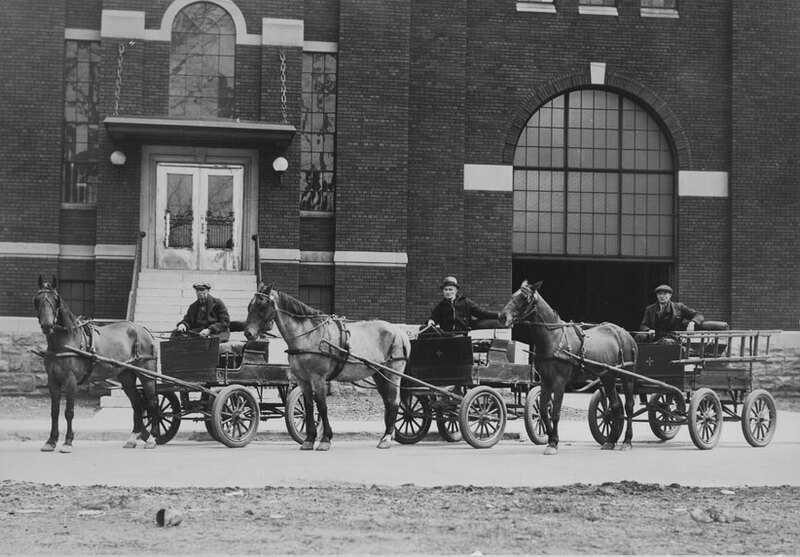 Six streetlighters employed by the city travelling either on horseback or by foot, would light the lamps each night, then return to extinguish the glowing lamps before dawn. By the time streetlights were electrified in 1884, the City decided it would be less expensive if the work were contracted out. 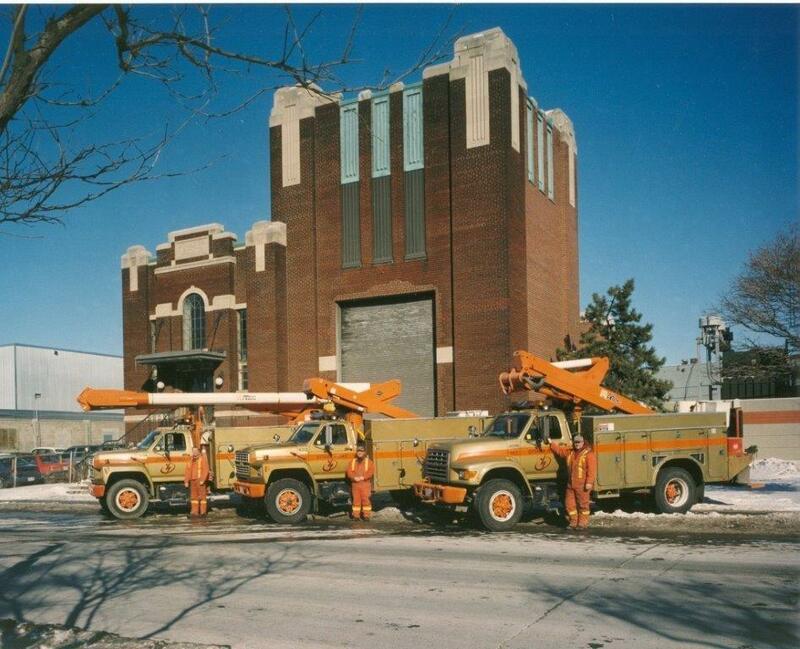 As a result, the Ottawa Electric Light Company (which would go through a few corporate transformations before eventually becoming Hydro Ottawa) was granted the responsibility of installing and maintaining street lighting. It went so smoothly that just a year later, Ottawa was the only city in Canada that had all its streets electrically lit. Generating Station No. 2 (today an asset of Energy Ottawa) is built on Victoria Island. 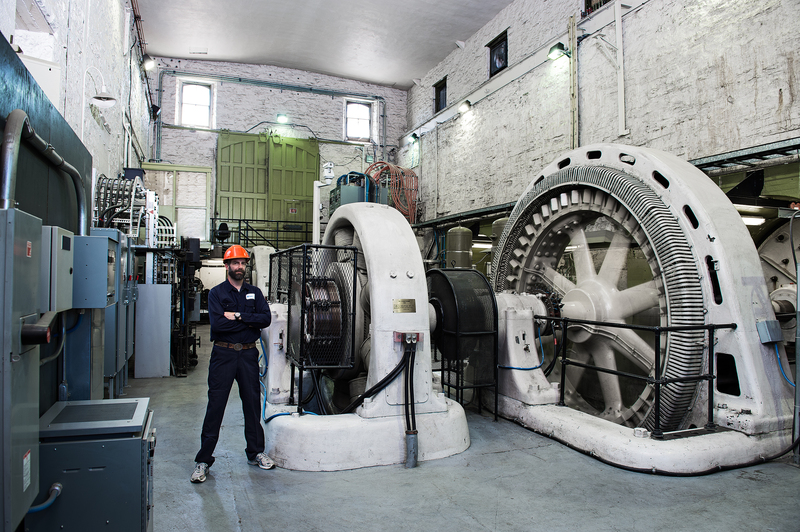 It holds the distinction of being Canada's oldest operating hydroelectric station. 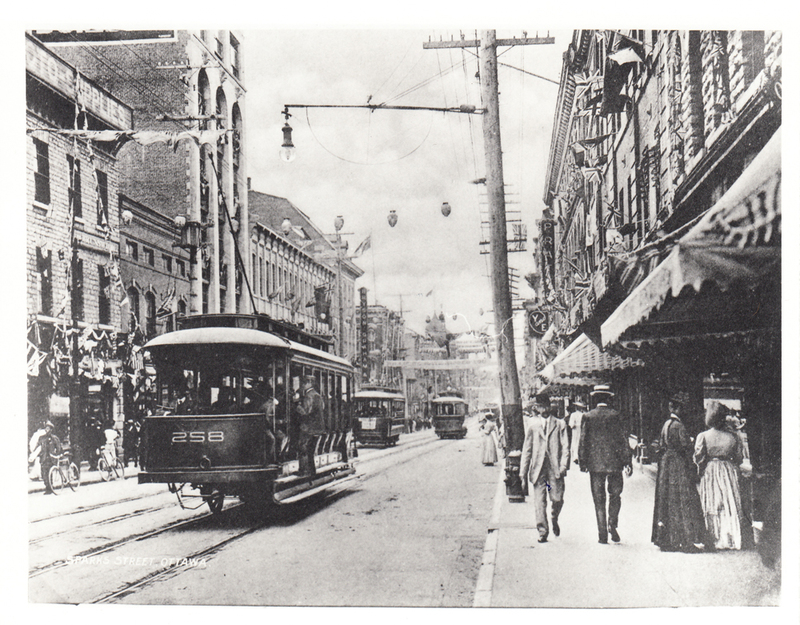 On June 21, 1891, electric street cars are introduced to Ottawa, thanks to a partnership between Thomas Ahearn and E.H. Bronson. Two years later, Ottawa’s street cars are the first in the world to be electrically heated. Generating Station No. 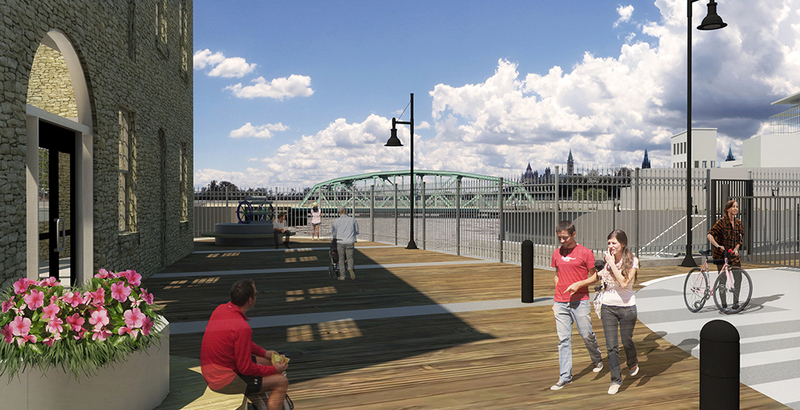 4 (today an asset of Energy Ottawa) is built on Victoria Island. 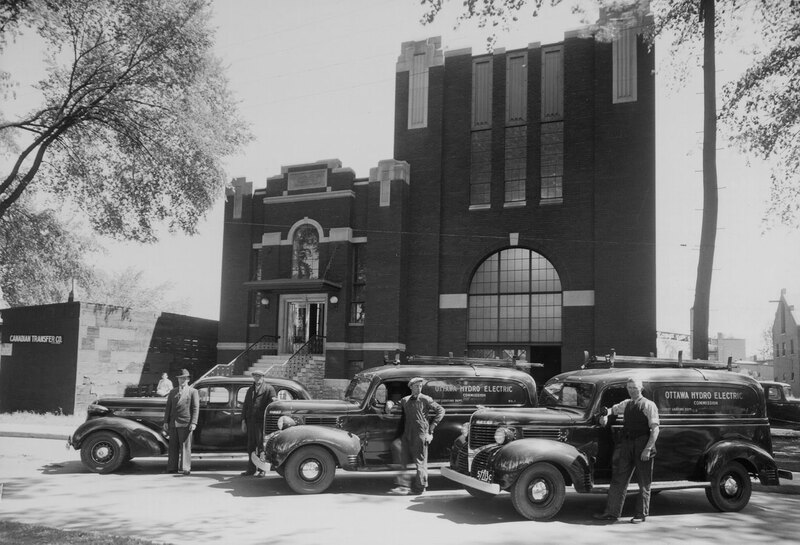 On April 26, 1900, a devastating fire destroys much of Hull, Quebec and significant parts of Ottawa. Along the river, the stacked lumber quickly ignited. 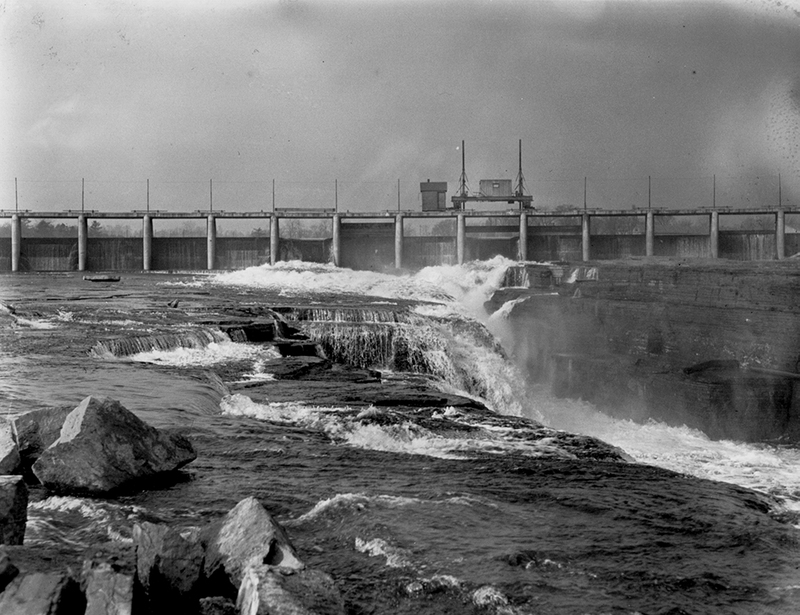 Many businesses, including the power houses at Chaudière Falls, were affected. 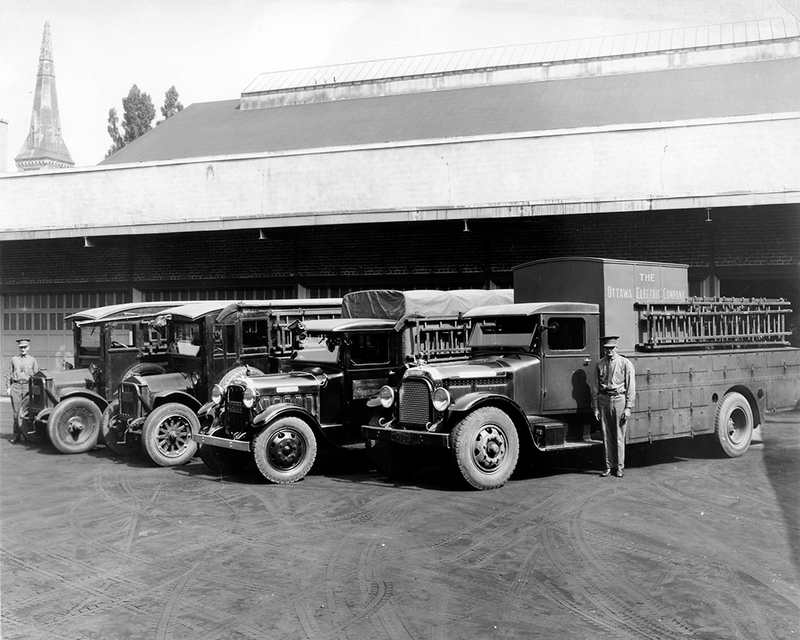 The fire hastened a remodelling of local power plants, and a change from 1,000 volts to 2,200 volts. Transformers further reduce the voltage to 50 volts for home lamps. 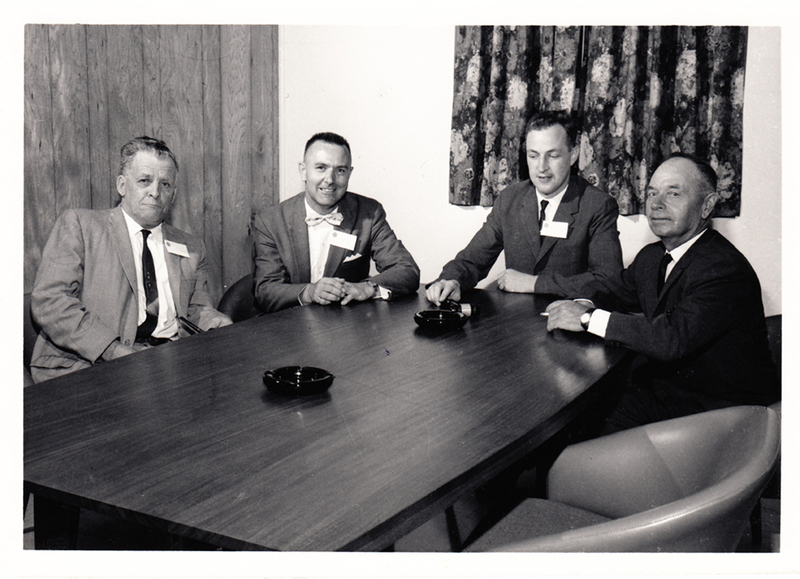 In Berlin, Ontario (now Kitchener), electrical pioneers meet for the first time to discuss wiring Ontario customers together to form a provincial electricity grid. 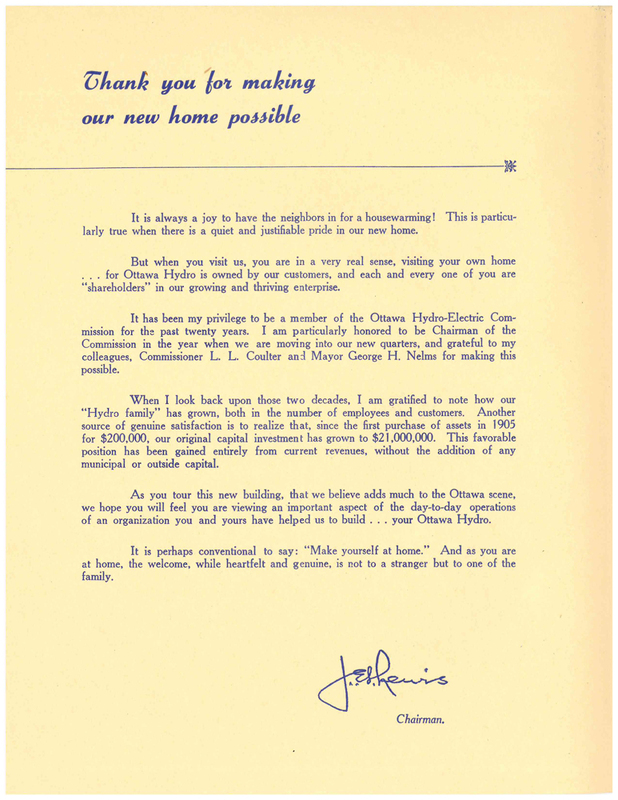 In 1905, Ahearn and Soper’s privately-owned Ottawa Light, Heat and Power Company has a monopoly on power in the nation’s capital and not everyone can afford their rates. 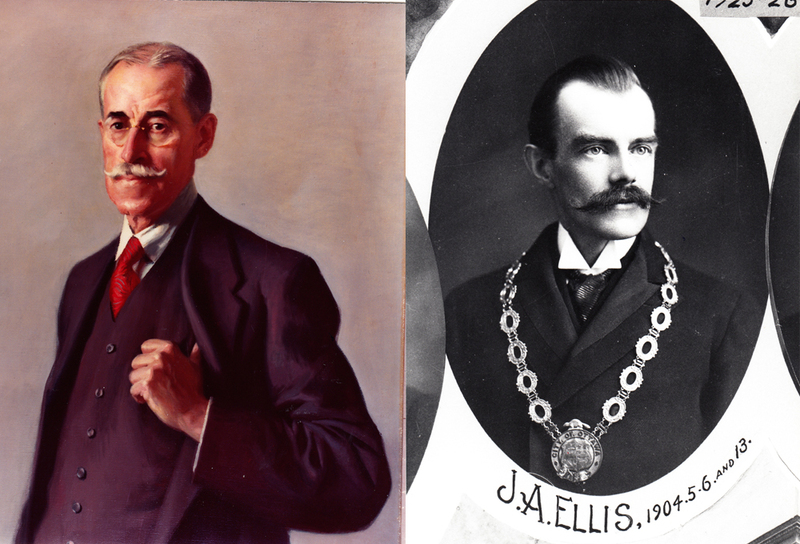 A strong supporter of public power, Evening Journal newspaper owner, Philip Ross, convinces Mayor James Ellis to buy the Consumer Electric Company – the only local power company not owned by Ahearn and Soper. The Mayor convenes a secret meeting of City Council and receives a strong endorsement to proceed. 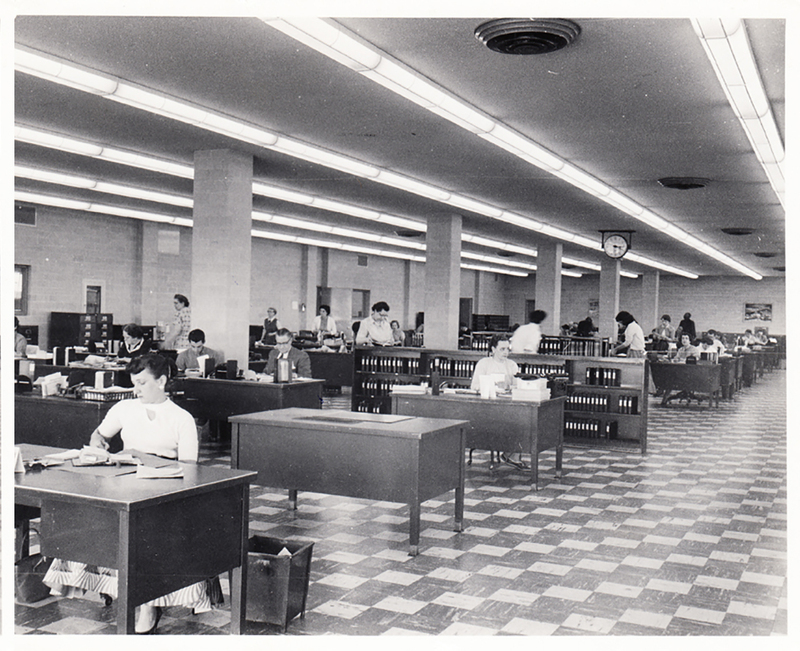 The city acquires Consumer Electric for $200,000 and the Municipal Electric Department of the City of Ottawa is born. 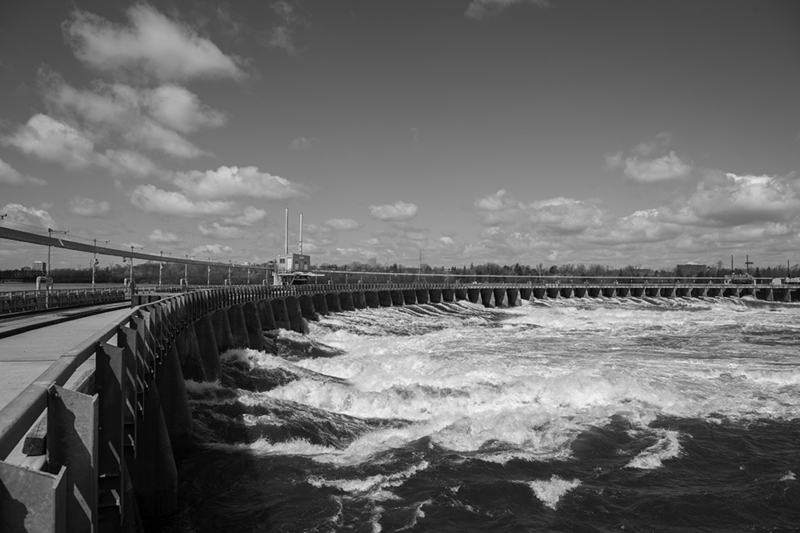 The Ring Dam is built between 1907 and 1909 in an effort to eliminate all independently-owned dams and disputes among mill owners on the Ottawa River at Chaudière Falls. 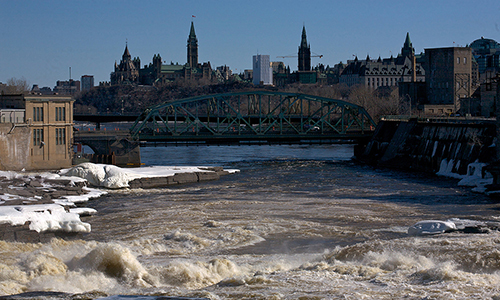 The Ring Dam, which regulates water levels on the Ottawa River, has been staffed 24 hours a day, 365 days a year since it went into service. J.N. 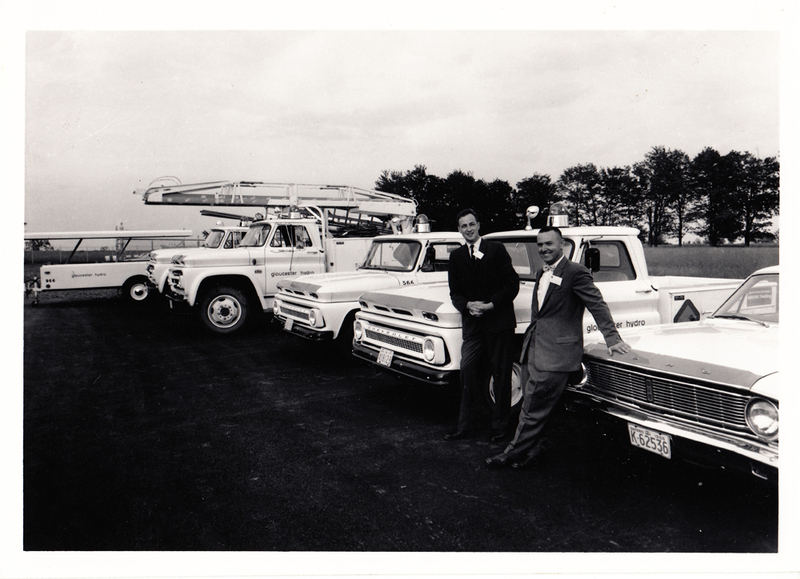 Coupal, a businessman in the Village of Casselman, begins construction of a 460 foot dam across the Nation River and a 125 kW powerhouse to provide electricity for his flour mill, his home and neighbouring homes. When the project is completed two years later, the local council grants a 30-year franchise to Coupal to supply electricity to the rest of the village. But customers can only use electricity between 4:00 p.m. and midnight to ensure there’s enough river water to power the flour mill during the day. 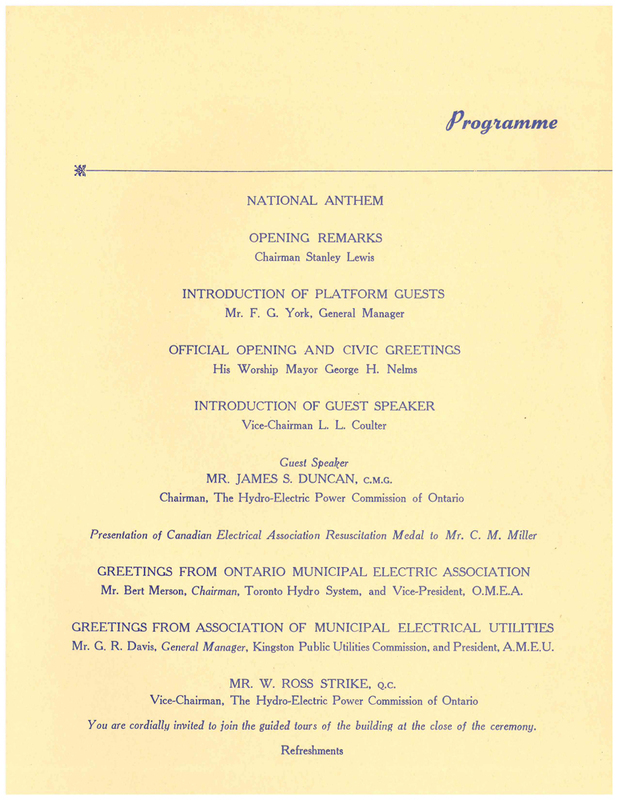 In January 1916, the Municipal Electric Department of the City of Ottawa becomes the Ottawa Hydro Electric Commission—or Ottawa Hydro. 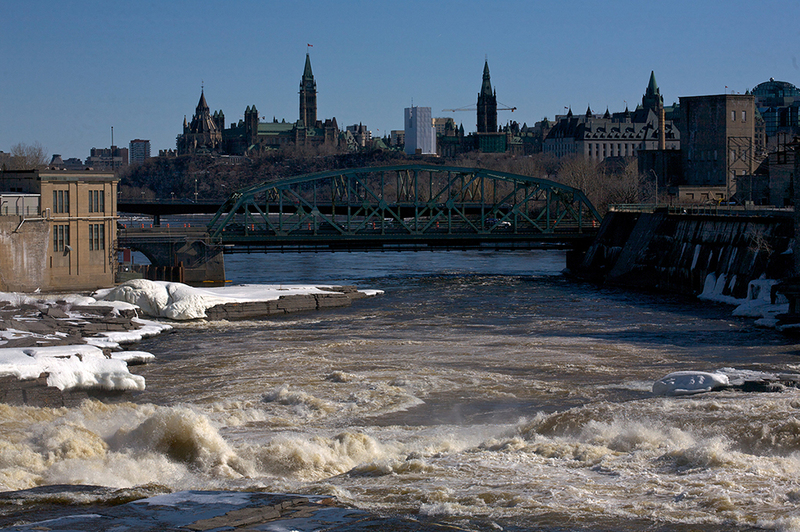 This is a turning point in Ottawa’s power history that changed everything. Partnering with the Ontario Hydro Electric Commission (Hydro One today), Ottawa is connected to the relatively young provincial grid. 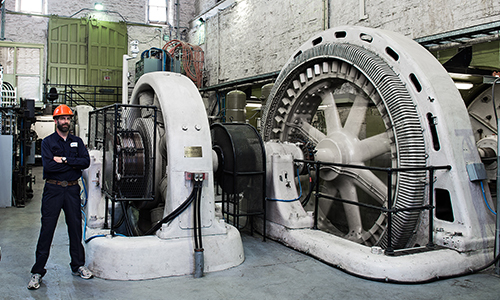 With access to more generation, the city was able to provide reliable and continuous power on a larger scale. 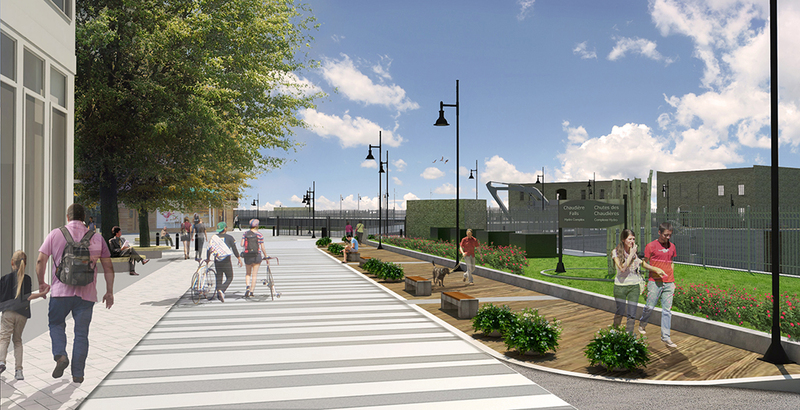 This led to reduced rates and improved quality of life for more residents. J.N. 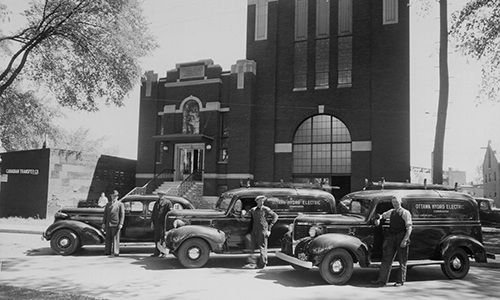 Coupal closes his flour mill in Casselman, increasing the supply of electricity to the village. Demand had increased so much that some new residents were on two-year waiting lists to receive power. 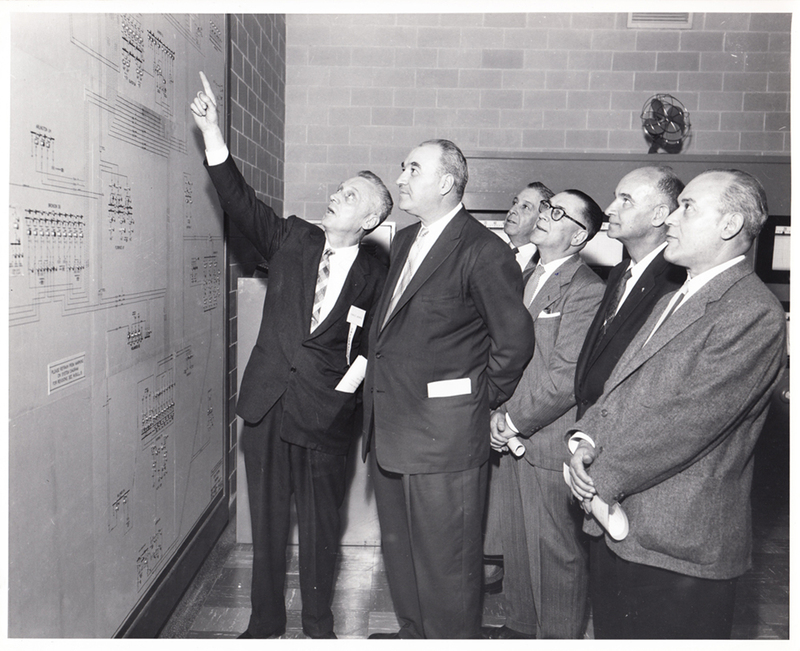 Goulbourn Hydro’s history begins in the form of Richmond Hydro when Reeve William J. Hemphill, J.Edgar Gamble and Dr. L.W. 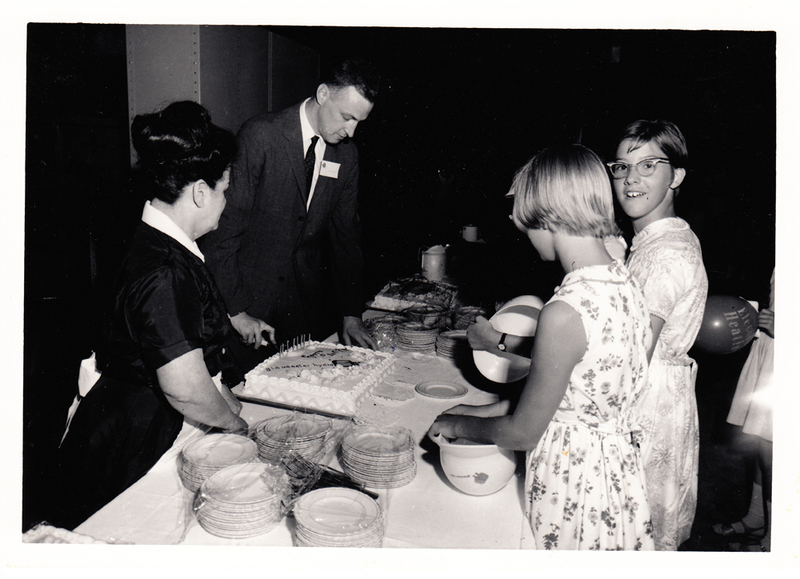 Nixon gather 56 subscribers from Richmond village — enough to create one of the smallest hydro commissions in Ontario. Except for private generators, the area had no electricity before this time. 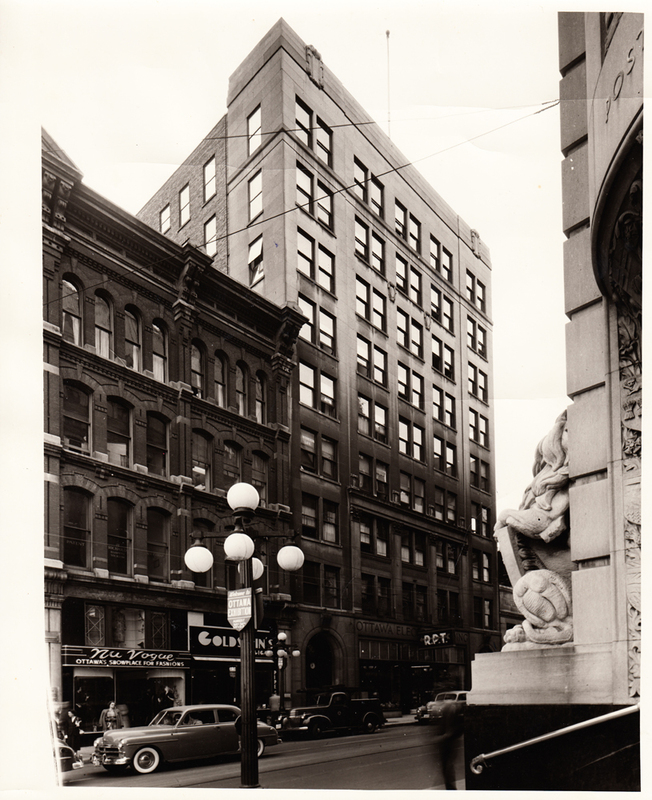 On Monday, March 5, 1928, Ottawa’s first electric traffic light on Spark Street is switched on. 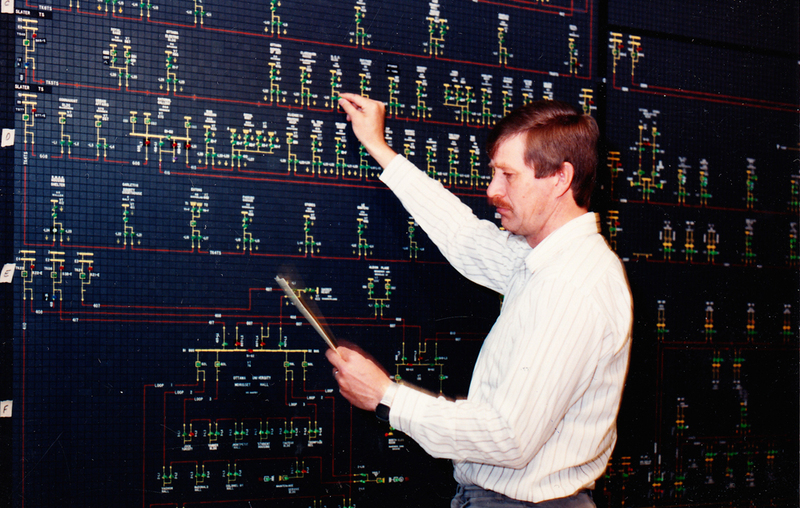 Elwin singlehandedly reads all the meters, links new customers to the grid and maintains the electricity system, including extensive upgrades to the nearly 20 year old system. Evelyn handles all the billing and bookkeeping. 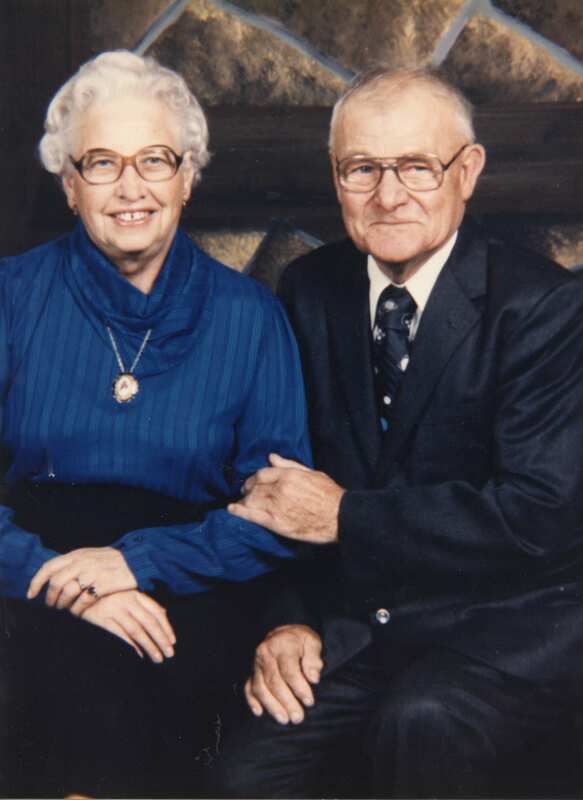 Together, Elwin and Evelyn Vaughn serve as the backbone of Richmond Hydro for the next 30 years. 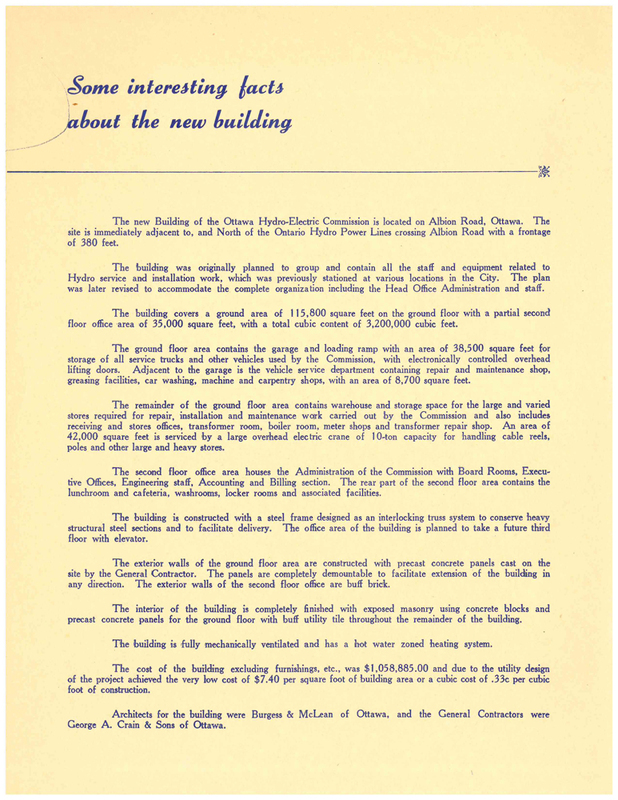 The Ottawa Hydro Electric Commission purchases the Ottawa Light, Heat & Power Company and becomes the sole distributor of electricity in Ottawa. With the purchase, Ottawa Hydro triples the number of its customers to 57,968. 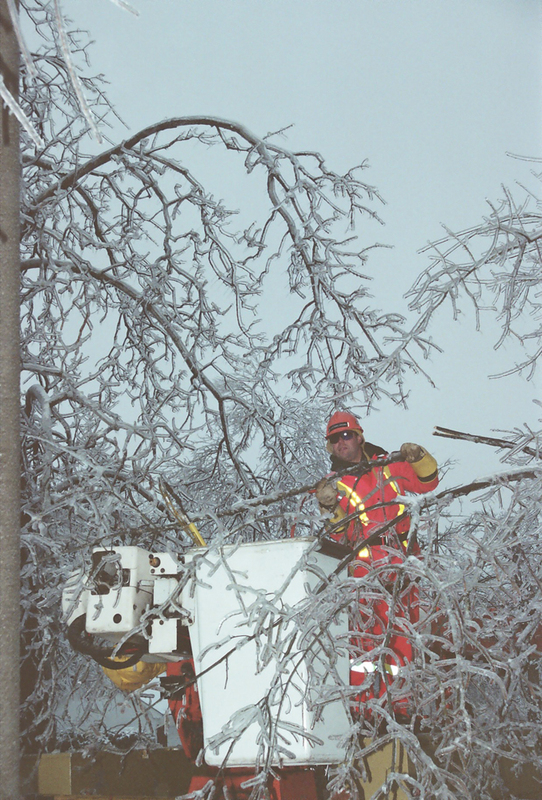 The demand for electricity in Casselman now exceeds the capacity of J.N. Coupal's system so the Village launches a publicly-managed utility called Casselman Hydro. 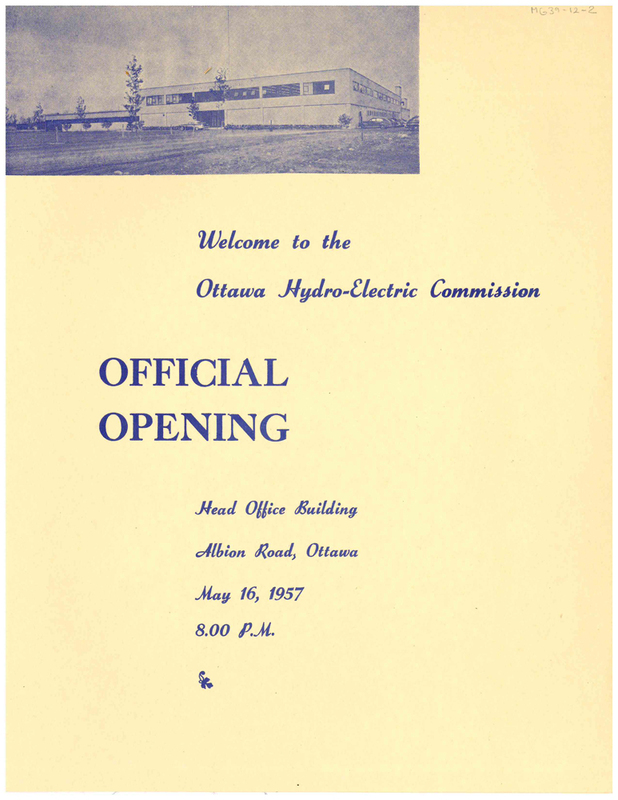 On May 16, 1957, Ottawa Hydro officially opens its Albion Road office with several dignitaries in attendance. Several executives of home-owner associations in Nepean get together to explore the feasibility of launching a local electric utility. Their goal is secure lower electricity rates for their municipality. Citizens in Nepean vote overwhelmingly in support of the municipality's proposal to purchase all of Nepean's existing distribution assets from Ontario Hydro. 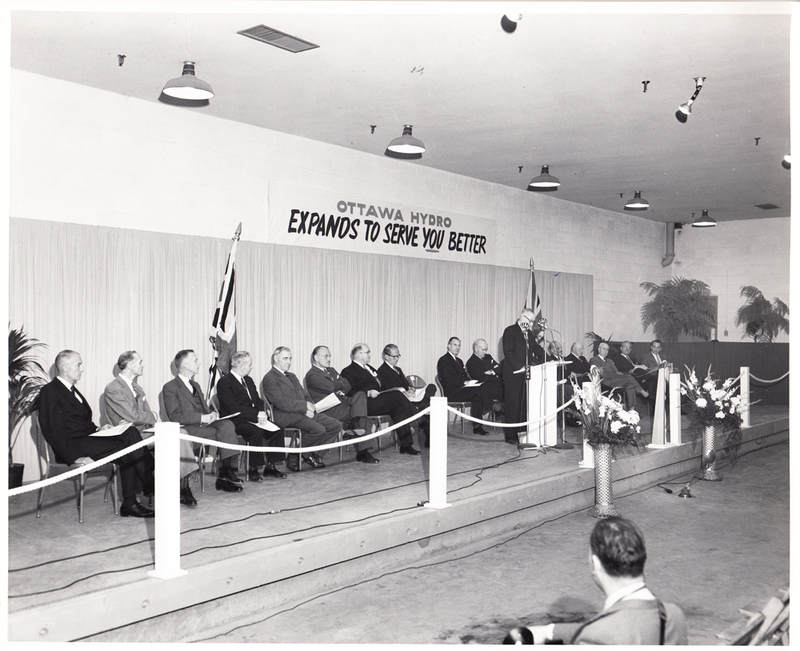 The following year, Nepean Hydro is launched. 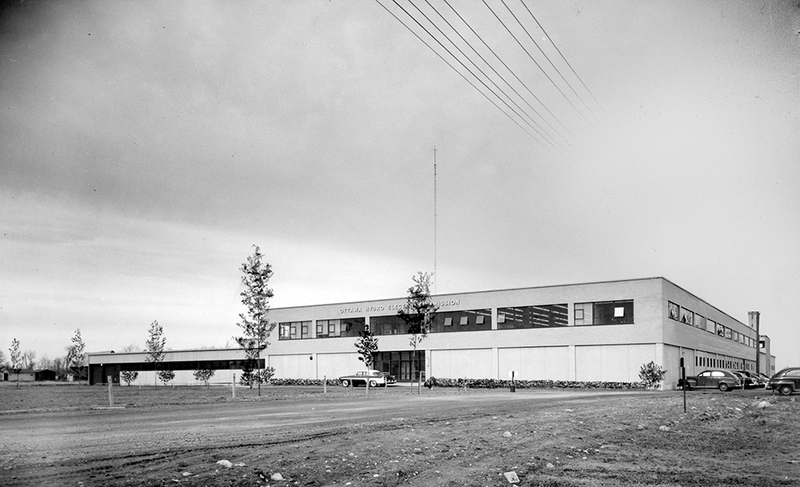 Its offices are located in a small, rented farmhouse where Merivale Mall now stands. 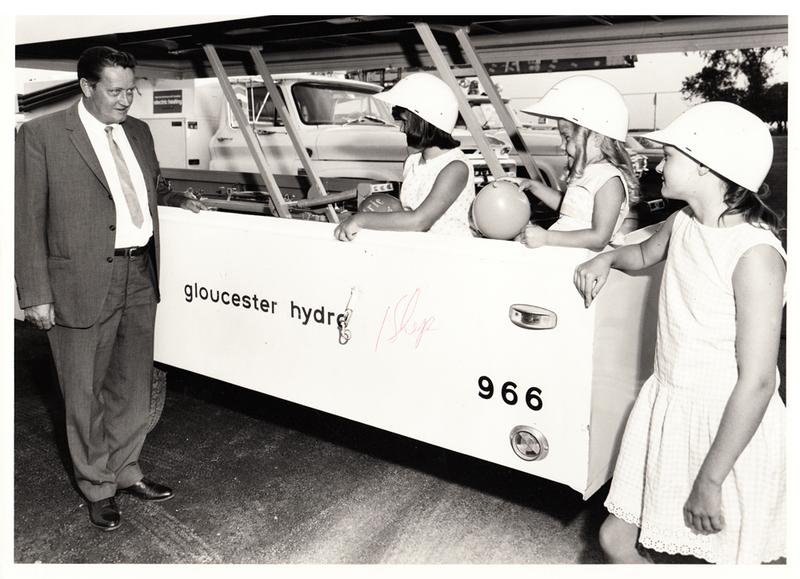 The township of Gloucester launches Gloucester Hydro, thanks to Arthur Bowker and other residents of the township who wanted lower rates and local control of the township's electricity system. Bowker becomes the utility's first Commission Chair. Gloucester Hydro becomes the first utility in Eastern Ontario to switch to a higher voltage, which resulted in more cost-efficient and reliable service for its customers. Kanata formally incorporates as a City and plans to launch its own municipal electrical utility. 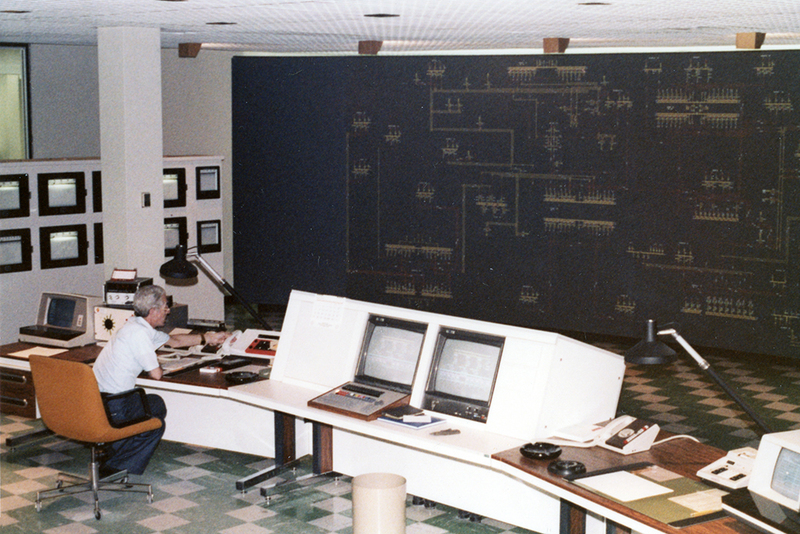 In 1978, Ottawa Hydro is the first distribution utility in Ontario to install SCADA, the Supervisory Control and Data Acquisition System. 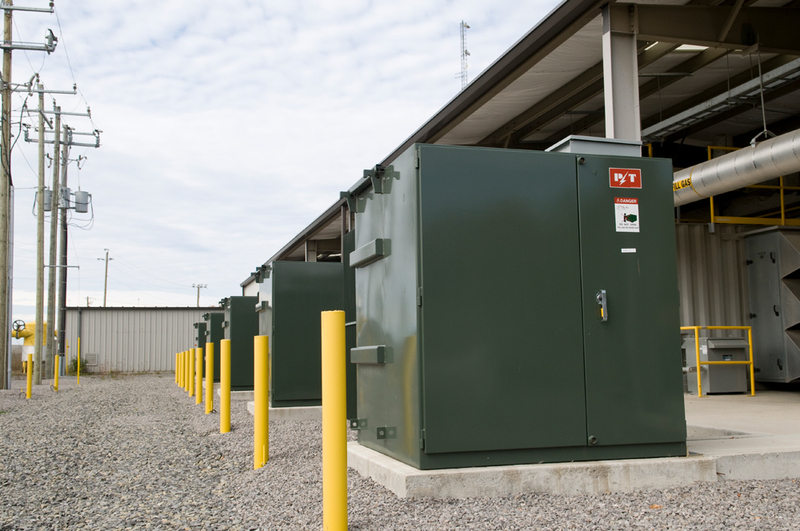 By linking the head office computer to transformer stations and substations, SCADA is able to locate service failures, automatically reclose circuits, dispatch repair crews, monitor voltage and warn of changes in unoccupied stations. Ottawa's new level of safety and service reliability is it the envy of many other cities. 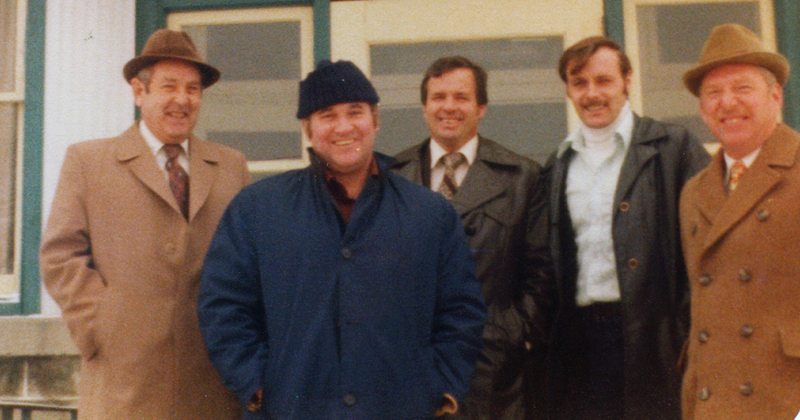 It’s 1978 and Pierre Trudeau is Canada’s sitting Prime Minister, Marion Dewar is the second woman to become the Mayor of Ottawa, and the Rough Riders finish first in the eastern division (spoiler: they eventually lose the Grey Cup championship). Richmond Hydro changes its name to Goulbourn Hydro, but continues to service the Richmond Village area. 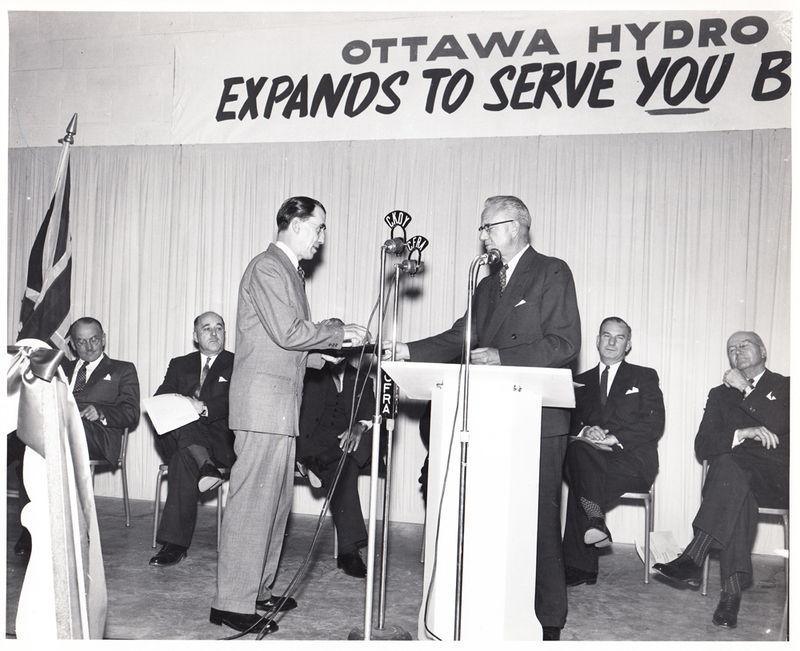 The Kanata Hydro-Electric Commission becomes the sole distributor of electricity in the City of Kanata. A temporary office is set up on Beaverbrook Road and then is moved to the former City of Kanata offices on Klondike Road. 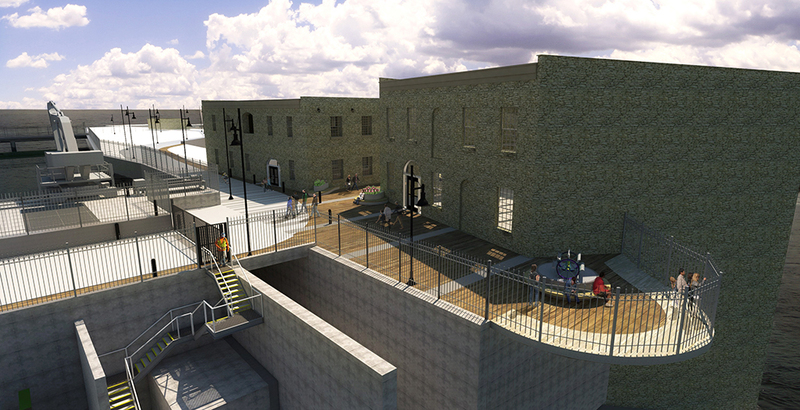 The building consists of a heritage building and part of a schoolhouse which had been moved to the site. Together they are were affectionately called "Cluster of Huts." 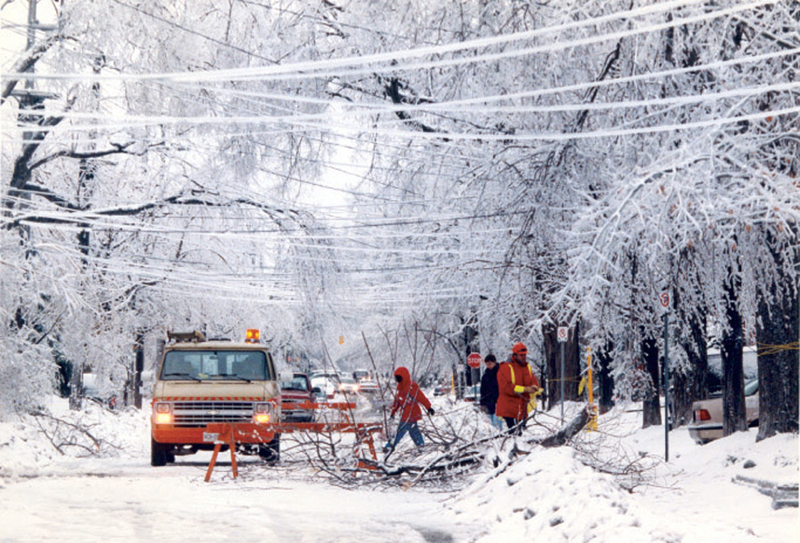 The Great Christmas Storm of 1986 arrives on Christmas Eve and leaves 25,000 households without power ... and many uncooked turkeys. On Sunday, January 4, the first of three successive storm fronts hits eastern Canada, stretching from Georgian Bay to the Bay of Fundy. Eastern Ontario and Western Quebec bear the brunt of what is now called the greatest natural disaster in Canadian history. 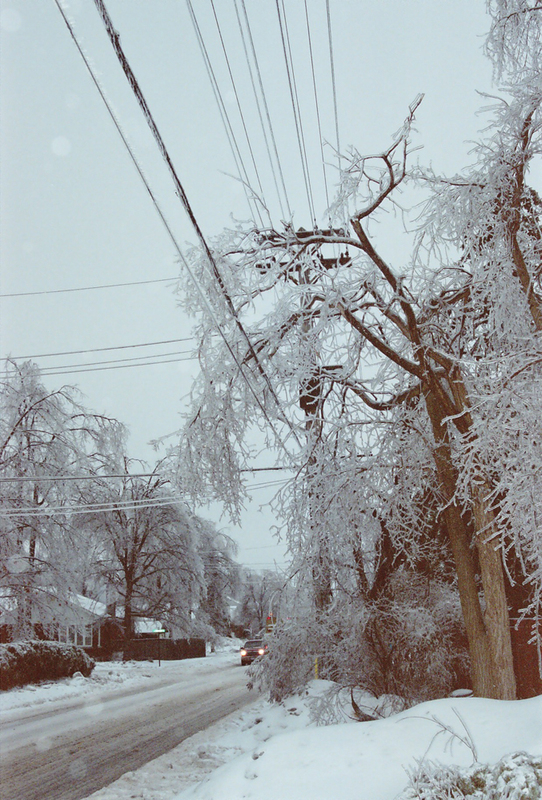 More than 85 mm of freezing rain, ice pellets and snow fall on Ottawa alone, creating a thick ice that downs power lines and forces tens of thousands of people to seek shelter in hotels, the homes of friends or relatives, community centres and other public facilities. 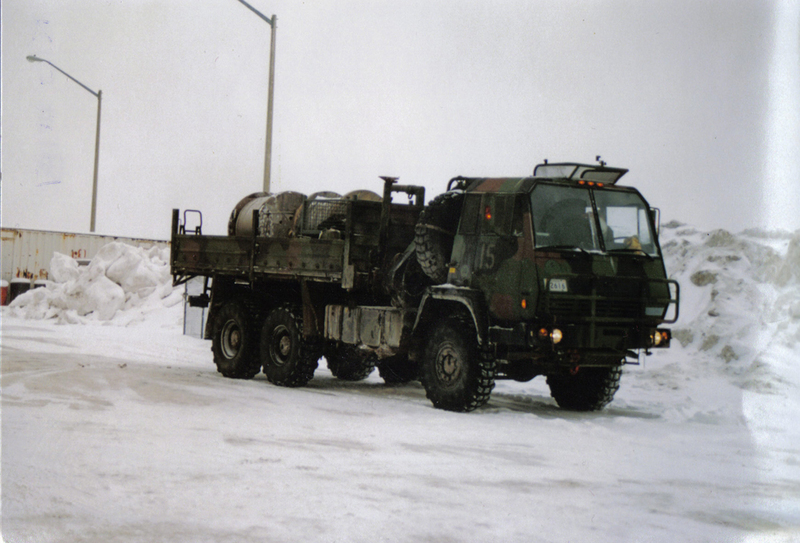 Bob Chiarelli, Chair of the Regional Municipality of Ottawa-Carleton, declares a state of emergency. 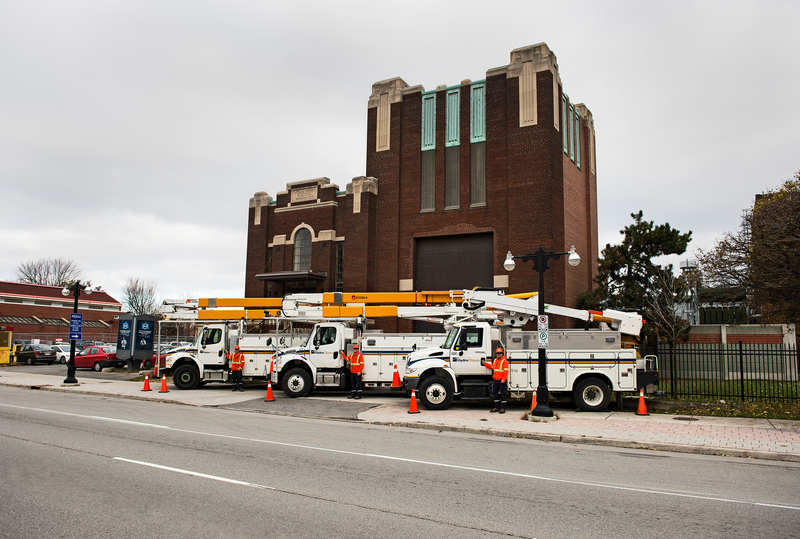 Employees from Gloucester Hydro, Goulbourn Hydro, Kanata Hydro, Nepean Hydro and Ottawa Hydro come together as one team to repair the extensive damage. 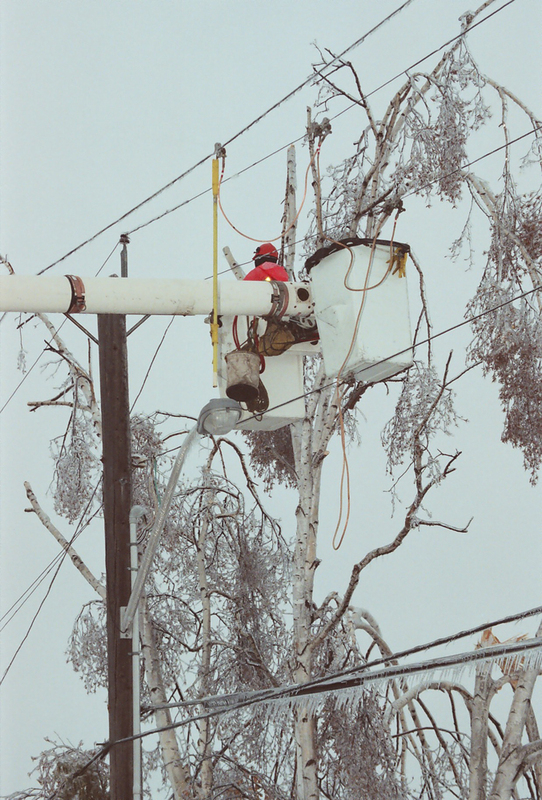 Often working double shifts, they brave frigid temperatures and dangerous downed wires to restore power as quickly as possible. By Wednesday, January 6, Regional Chair Bob Chiarelli formally lifts the state of emergency for Ottawa, Nepean, Gloucester, Kanata, Rockcliffe Park and Vanier, where just five percent of customers remained without power. 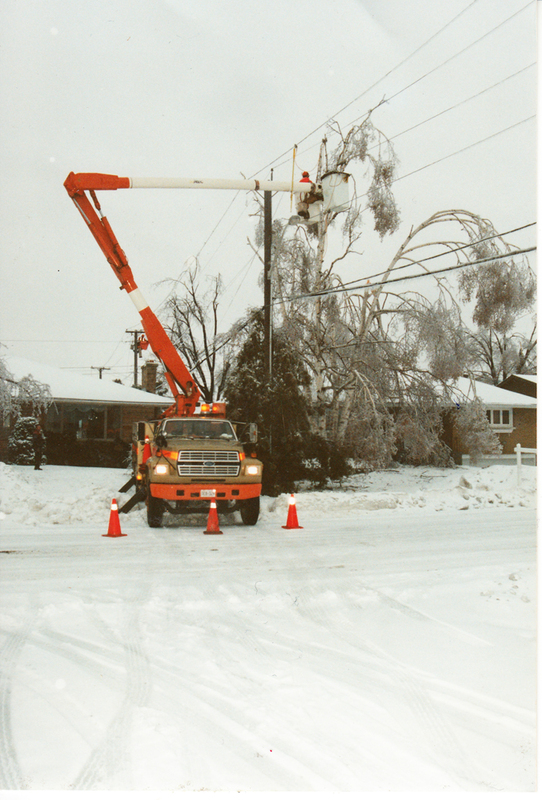 Overall, Environment Canada estimates "the storm claims as many as 35 lives, downs millions of trees, 1,000 transmission towers, 30,000 utility poles and enough wires and cable to stretch around the world three times. 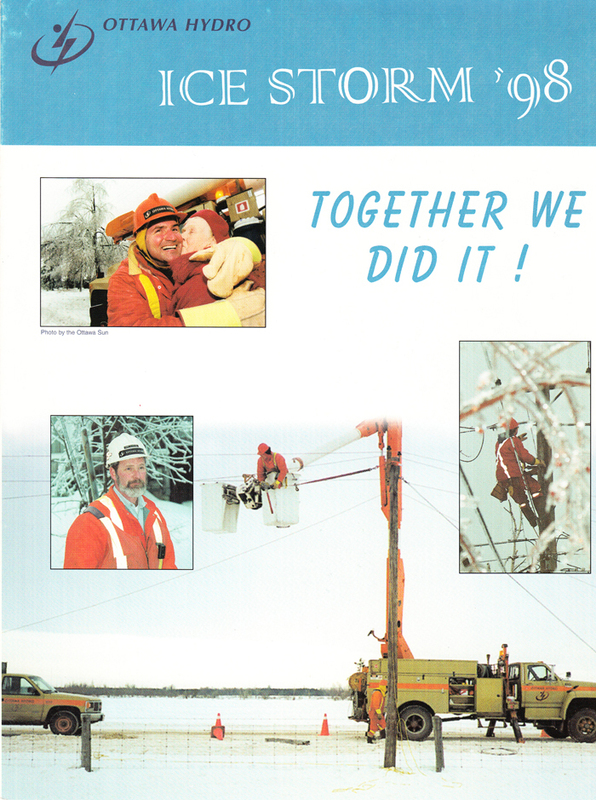 It was December 31, 1999 – five hours before the ringing in of a New Year and with it, a new millennium – and employees at Ottawa’s pre-amalgamated electric utilities were fielding calls from customers, patrolling the city, observing the electrical system, and monitoring computer programs. 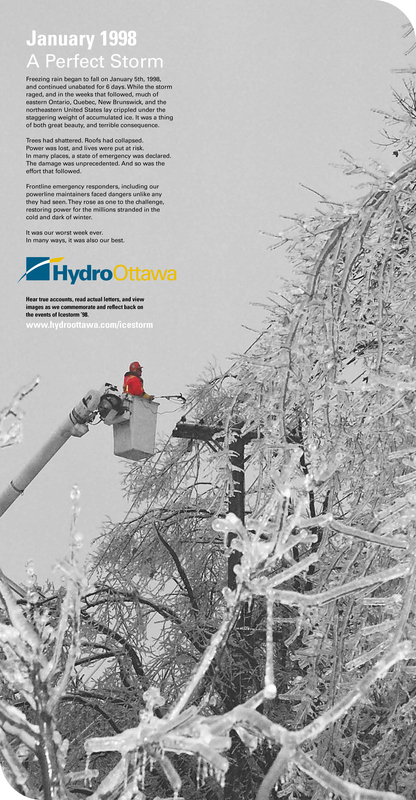 In November, Gloucester Hydro, Goulbourn Hydro, Kanata Hydro, Nepean Hydro and Ottawa Hydro come together to create Hydro Ottawa, serving the entire urban population of the new City of Ottawa. 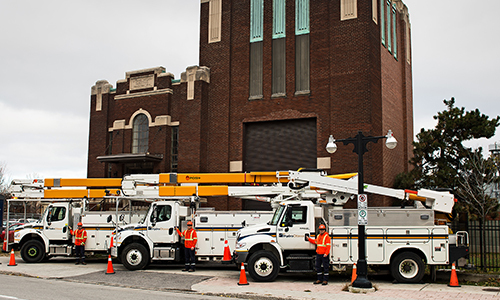 The new company becomes the third largest municipally-owned electrical utility in Ontario and has a service territory spanning more than 1,000 square kilometres. 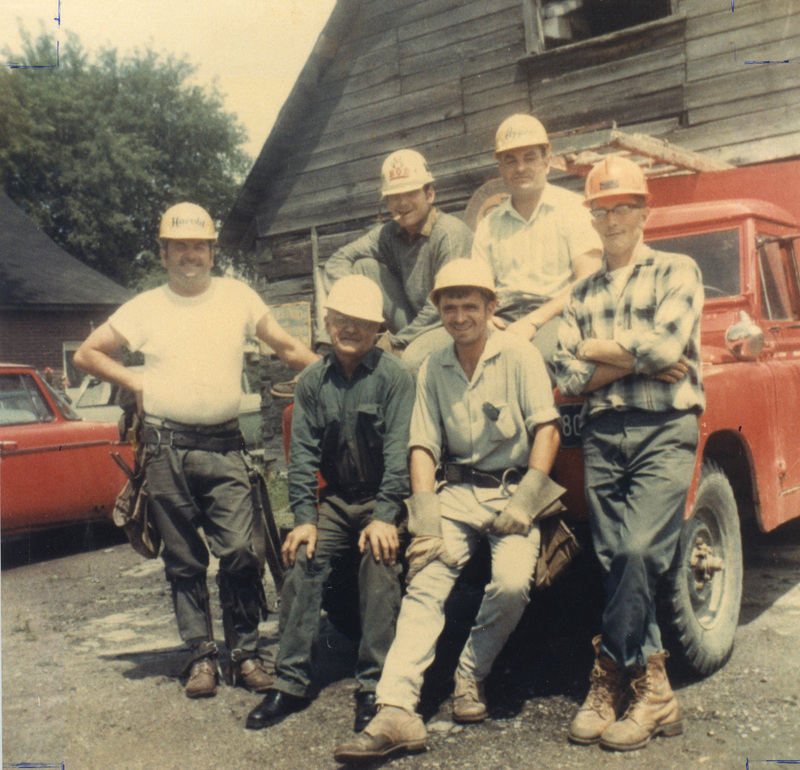 Hydro One retains its existing customer base in the former townships of Osgoode, West Carleton, Cumberland and Rideau. Energy Ottawa is officially established and takes ownership of Generating Station No. 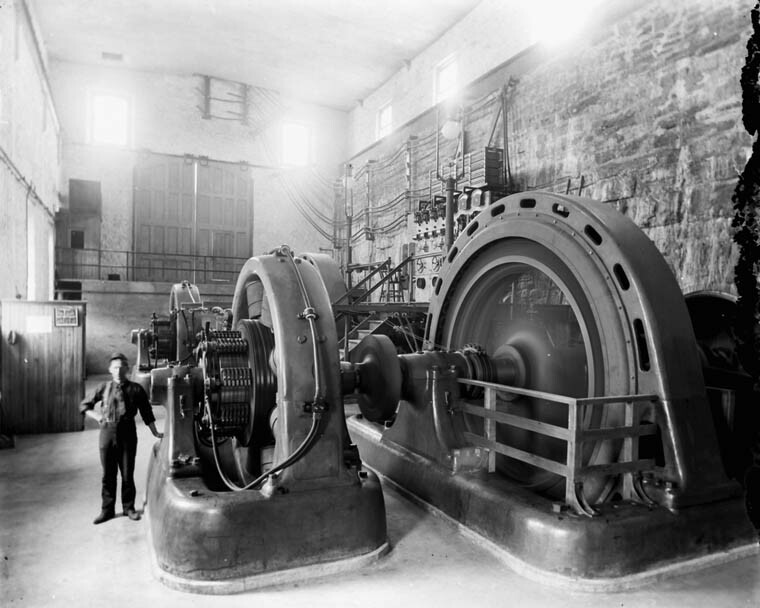 2 and Generating Station No 4 at Chaudière Falls. 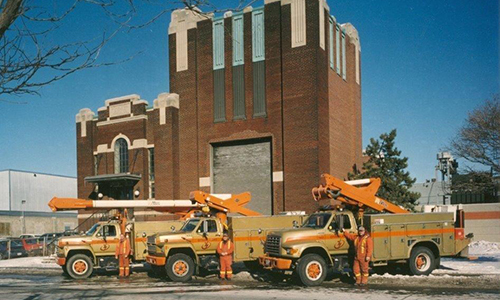 Energy Ottawa then completely refurbishes these stations in 2001 and 2005, maintaining their heritage nature, yet doubling their renewable generation capacity with modern technologies. The new stations are capable of supplying electricity to 18,000 Ottawa homes annually. 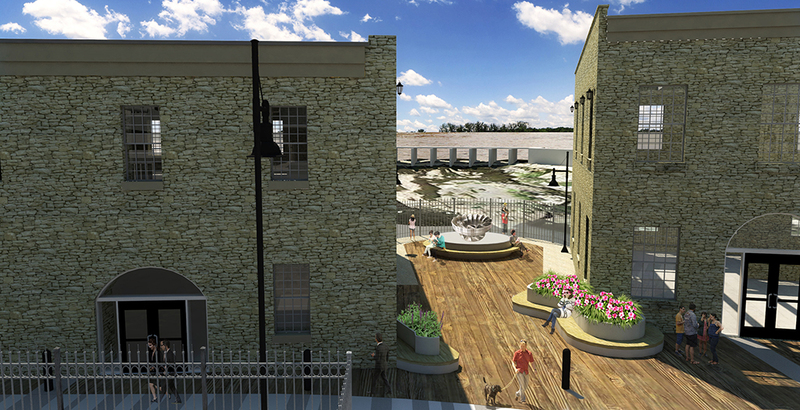 In May, Casselman Hydro becomes part of the Hydro Ottawa family. 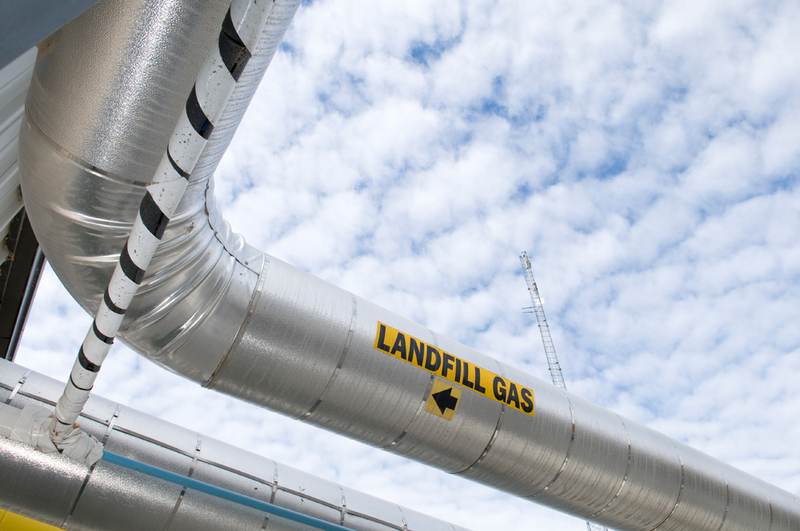 Energy Ottawa begins commercial operation of a landfill-gas-to-energy facility at the Trail Road landfill in Nepean. 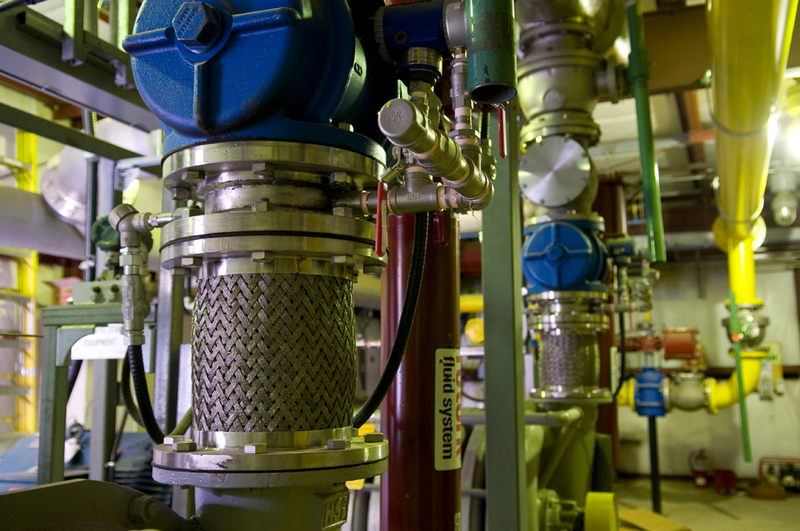 It turns methane gas from the landfill into renewable energy. 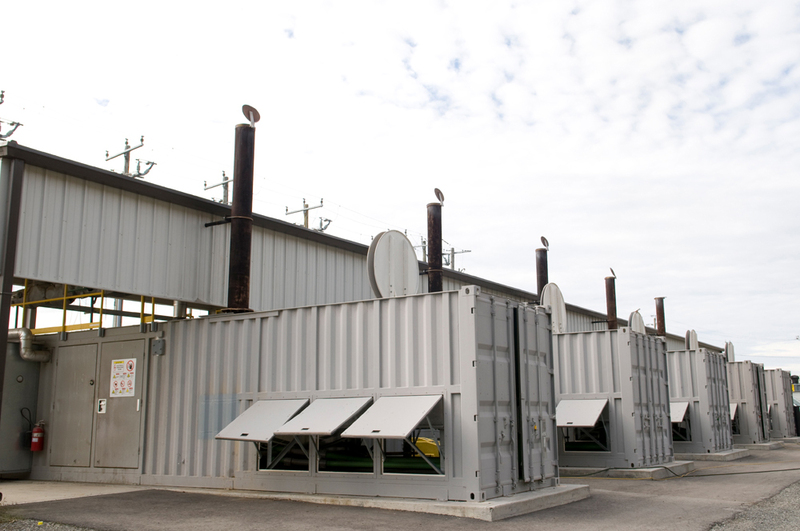 A second landfill gas-to-energy plant is launched in Moose Creek, Ontario in 2013. 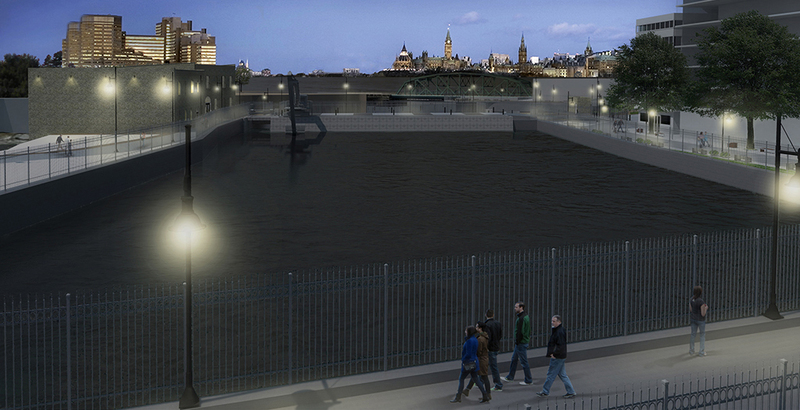 Construction of Energy Ottawa’s new 29-megawatt below-ground hydroelectric facility begins. 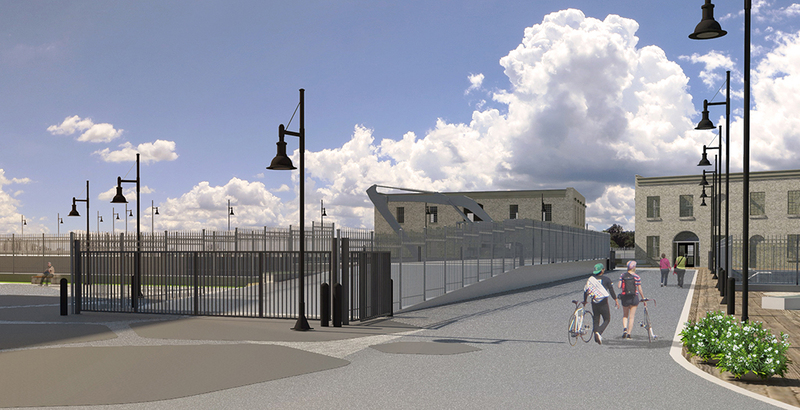 Upon completion in 2017, the station at Chaudière Falls will feed electricity into the provincial grid and power 20,000 homes with clean, renewable energy annually. Today, Energy Ottawa is the largest municipally owned producer of green power in Ontario, with hydroelectric, solar, and landfill gas-to-energy generating facilities. Energy Ottawa and the City of Ottawa announce the dawn of a new solar initiative. The solar installations are expected to generate nearly 3,000,000 kWh/year; the equivalent of removing more than 300 homes from the grid annually.